Wiley X Gravity Black Ops Sunglasses ooze character with their smoke grey lenses and matt black frame. The Smoke Grey lens provides maximum glare reduction, won’t distort colors and the function is excellent in bright and glare conditions. Inspired by the shadowy realms of covert operators, Wiley X Black OPS collection was created for elite-level military personnel, law enforcement personnel, and hard-core shooters. 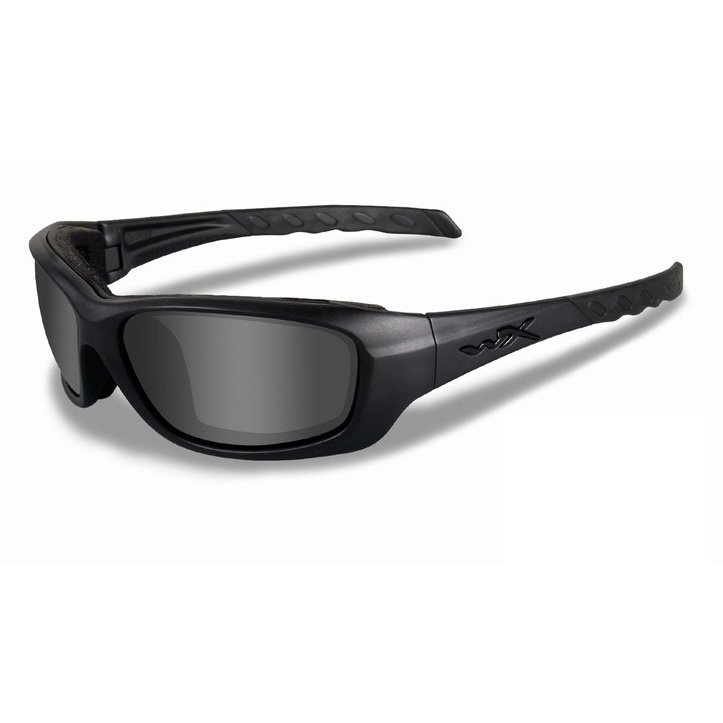 Black Ops sunglasses fuses stealth design with the High Velocity Protection you’ve come to expect from Wiley X eyewear. Significant for the sunglasses from the Black Ops collection is the frame color in matte black, smoke grey lens – aswell as the significant WX logo at temples in matte black. 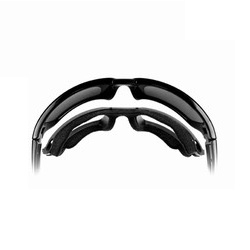 Some of the styles are also available with the patented Facial Cavity ™ Seals. The wraparound frame design provides protection from reflected light and a comfortable, secure fit ideal for a wide range of activities. These versatile glasses are designed to look good and provide advanced eye protection in environments ranging from city streets to the great outdoor operations. You can be certain WILEY X Black Ops Collection is fully featured and fully certified. The models meet the stringent ANSI-Z87.1-2003 High Velocity and High Mass Impact Safety rating and some even meet MIL-PRF-31013 for ballistic eye protection. Best sunglasses I have ever owned! They are extremely effective when shooting into the sun and crystal clear with no glare/haze. They have saved my eyes once when an ejected shell from a Ruger 1022 bounced of the side of the booth and hit the glasses quite hard. I still can't see a single scratch! Very happy with my purchase and the great customer service from Uttings.